Sunday 08:00am - 01:00pm East Idaho's #1 Country! Saturday 01:00pm - 06:00pm East Idaho's #1 Country! I was born in Colorado Springs, grew up in Canon City and am insanely proud to be a Colorado native! I met my husband in college at the campus radio station. Our first date was at a media banquet and we were engaged 3 months later! I was working in Colorado Springs at the time. My dad came VERY close to putting a station bumper sticker on the back of his tux as he walked me down the aisle, but he knew my mom would have killed him! We decided not to have kids and instead are putting our veterinarian's children through school. ;) I am a voracious reader (Don't care for television). I love to hike. I Have climbed four of Colorado's 14,000 foot mountains. I also enjoy travel, all sorts of music and believe radio is absolutely magical! You flip a switch and suddenly, you're no longer alone! It's amazing! 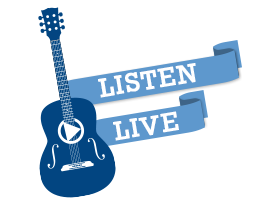 Sunday 06:00pm - 10:00pm East Idaho's #1 Country! Monday 09:00am - 01:00pm East Idaho's #1 Country! Tuesday 09:00am - 01:00pm East Idaho's #1 Country! Wednesday 09:00am - 01:00pm East Idaho's #1 Country! Thursday 09:00am - 01:00pm East Idaho's #1 Country! Friday 09:00am - 01:00pm East Idaho's #1 Country! I was obsessed with radio as a kid. I started hanging out at a radio station when I was 7. I'd do anything just so they'd let me hang around. I annoyed them enough that they let me on-air full time when I was 13 doing the 7p-midnight show! Too young to drive my "sign off" line every night was "come and get me mother, I'm through." I love old classic western and war movies. The Godfather, Patton, Sling Blade and Field of Dreams are a few of my favorites. Songs that weren't #1 hits but should have been according to me: Alan Jackson "So You Don't Have to Love Me Anymore", George Strait "Everything I see" and Jimmy Wayne's "I Love You This Much". A man's gotta eat: A good steak and taters, BBQ, and raw oysters! My next 30 years: Camping, fishing, travel & golfing. I was almost home: As a kid, weekends on the farm riding horses, hunting arrowheads, and shooting rattlesnakes. Sunday 04:00am - 08:00am East Idaho's #1 Country! Monday 04:00am - 06:00am East Idaho's #1 Country! Tuesday 04:00am - 06:00am East Idaho's #1 Country! Wednesday 04:00am - 06:00am East Idaho's #1 Country! Thursday 04:00am - 06:00am East Idaho's #1 Country! Friday 04:00am - 06:00am East Idaho's #1 Country! I've been hooked on radio since I received my first portable set when I was 9 years old. I started playing country music on the radio when I was 16, and had heard on some of the best stations in the nation. I'm a certified gadget fan, but I find I spend too much time charging batteries for my toys. I enjoy looking after the family farms, but don't enjoy paying the bills. I also enjoy reading and learning, but discovered there is a lot more to learn. I'm single, clean my own house, do my own laundry and live with my roommate of 17 years, my dog Grady! Monday 01:00pm - 06:00pm East Idaho's #1 Country! Tuesday 01:00pm - 06:00pm East Idaho's #1 Country! Wednesday 01:00pm - 06:00pm East Idaho's #1 Country! Thursday 01:00pm - 06:00pm East Idaho's #1 Country! Friday 01:00pm - 06:00pm East Idaho's #1 Country! Saturday 04:00am - 08:00am East Idaho's #1 Country! He tells thousands of people everyday that he's "The Luckiest Man Alive." His "story" is the reason. It has everthing to do with getting to do what he loves! Paul grew up in the Silicon Valley (south of San Francisco, near Stanford University). As a boy, he built his first crystal radio and became fascinated with radio broadcasting. His room was full of radio parts and gadgets and he even built a tower in his suburban back yard. The power company loved him! Paul's other interest have always been music. He started playing the piano when he was 5 years old and also learned to play drums, trumpet and banjo. His love of radio broadcasting persisted and in college he worked at radio stations in Colorado, San Jose and San Francisco. After graduation he moved to Sacramento and managed a station that later inspired staff members to write the pilot for the 1970's/'80's hit TV show, "WKRP in Cincinatti." In 1985, Paul moved to Pocatello to pursue his lifelong dream of owning his own station, playing music he loves and contributing to a great community... and THAT is why he says he is "The Luckiest Man Alive!" It took Paul less time than most to shirk the bad rap of moving to Idaho from California-- one of his first moves as a station owner was to put the only Country station in the state on the FM dial (KZBQ), and this endeared him to many locals. He also took risks again and again to bring in nationally-acclaimed country artists that had never considered East Idaho before, and this further sped him towards acceptance by the locals who are now his family. For over three decades he has hosted the morning program on KZBQ. Paul also owns and manages Hot Adult Contemporary station KORR 104 Country Classics102.9 FM/1290 AM, KMGI Magik 102.5 Classic Rock and The Idaho Oldies Channel KSEI AM-930 FM-106.7 in Pocatello. He is married to his "dream girl" and has four wonderful children ranging from 13 year old twins to 39 years young! He thanks all of his wonderful listeners for tuning in!